Comedian Jackie “The Joke Man” Martling was the head writer for The Howard Stern Show from 1986-2001. Martling says he was earning just shy of $578,000 and decided to ask for an average of $1 million over five years. K-Rock’s general manager Tom Chiusano offered $611,000 and finally bumped it up to $650,000 although he admits he would have settled for $800,000. 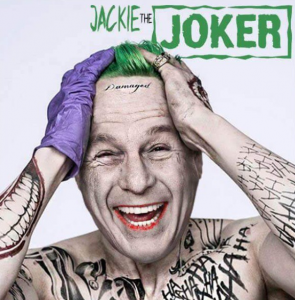 K-Rock gave Martling a deadline and warned that if it wasn’t signed the deal was off the table. Martling writes that his lawyer advised him to not go into work so he emailed Stern to let him know he wouldn’t be in that Monday, the rest is history. 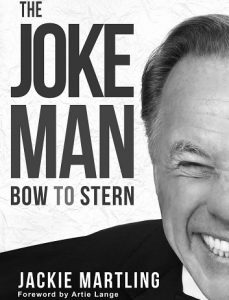 Now, in his new book, “The Joke Man: Bow to Stern,” Martling gives Stern fans insights into some of the show’s greatest moments. Do you think Howard will read your book? How did you come together with Howard? Your exit from the show was legendary. Did you address that in the book? Were you surprised by Howard’s move to satellite radio in 2006? Do you feel people will suspect this is a tell-all book? On a recent episode of the Artie Quitter podcast, Artie talked about how Howard Stern has so completely cut him off that he even refused to accept “top dollar” advertising money to promote his memoir, Crash and Burn. 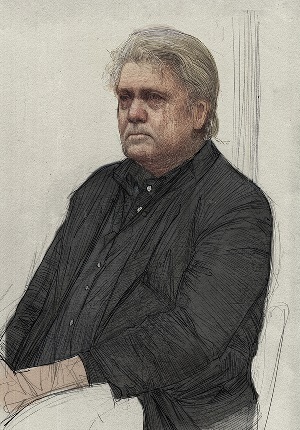 Artie went on to say how Touchstone, a division of Simon & Schuster, came to him and said they have never had a company turn down their advertising until Stern. Howard apparently refused to play a 30 second pretaped commercial for Crash and Burn. His recent rant from the Artie Quitter podcast got picked up by some major news outlets. Opie from Opie Radio invited Artie on to discuss his relationship with Howard Stern. He referenced the rise in power of Marci Turk, an efficiency expert who fast climbed within the ranks of Stern’s organization three years ago after bonding with Howard over a time-management system called Getting Things Done. Artie has not been heard on The Howard Stern Show since battling mental health issues back in 2009. Robin Quivers, who is 60 has credited her vegan diet, a choice she made back in 2007, with helping her lose more than 70 pounds in just 6 months. 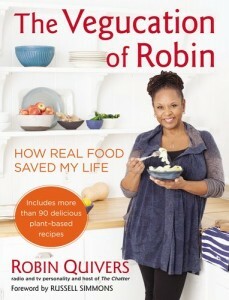 From the books synopsis it’s clear Robin is looking to inspire people and lead them to try the vegan lifestyle. “On her sometimes rocky, though endearingly hysterical, path to newfound health, Quivers discovered the power of the produce aisle in changing her body and her mindset,” the synopsis reads. In addition to more than 90 recipes, plenty of jokes, Vegucation of Robin will also include a forward by long-time Howard Stern Show regular Russell Simmons. The Vegucation of Robin: How Real Food Saved My Life will be released on March 26. Artie Lange talked about writing his second book, tentatively titled ‘Crash and Burn,’ during Thursday’s appearance on Joe Matarese’s ‘Fixing Joe’ podcast. 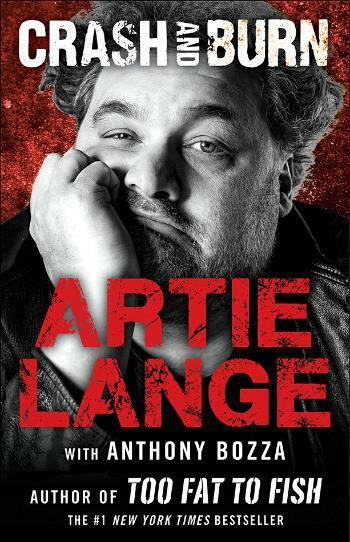 Howard Stern Show writer Sal Governale says Artie Lange is currently working on his second book, a follow up to his bestselling ‘Too Fat to Fish’. When an audience member asked Richard and Sal at their comedy show if Artie would return to the Howard Stern Show, Governale gave this reply.